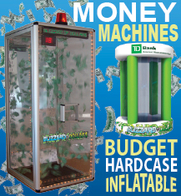 A convention exhibition hall may seem like a goldmine for finding potential buyers. Yet, with scores of exhibitors competing for the attention of conference attendees, it is essential to have a carefully planned and executed strategy to attract visitors to your display area, allowing your booth team to prequalify prospects and generate sales. 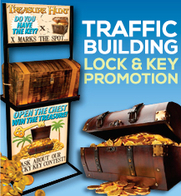 There are a variety of proven techniques that entice trade show visitors to stop at your booth. These include everything from specialized booth attractions and entertainment to tempting food and games. 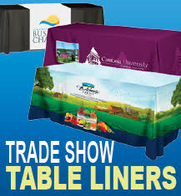 Yet, among these attention-grabbing techniques, trade show giveaways have long been at the core of traffic building strategies for exhibitors. 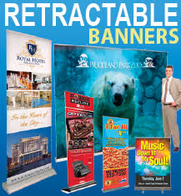 Promotional items not only help draw visitors and augment other traffic building efforts, they facilitate recall of your company after the show, and provide easy-to-access contact information. Yet, many promotional gifts may not be worth your investment. 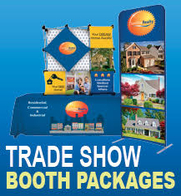 So how do you select cost-effective tradeshow giveaways that support your lead and revenue objectives? As with every element of marketing and sales, you need to clearly define what you want to accomplish with your giveaways. 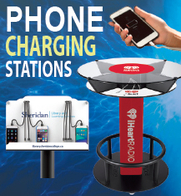 For example, in addition to driving booth visitors, you may want to use promotional items to enhance brand awareness, introduce a new product, provide useful information, or share contact information in a unique, memorable way. Do the giveaways support your product image and category? 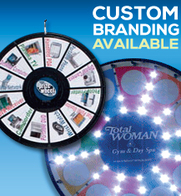 Do the promotional items you want to buy fit within your budget? Is there ample space to print your information on the items? Will you be able to receive your giveaways in time for the event? Do your items have high perceived value among your target audience? Are your giveaways unique and different from others you’ve seen? If there are extras after the show, are there other ways you can use the promotional gifts from a sales and marketing perspective? Are the items something YOU would like to have and keep? 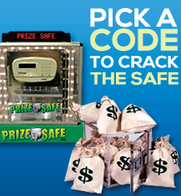 Whether you select quality pens, bouncing balls, mini books, ice scrapers or miniature globes, it is essential that your giveaways have a connection to your product. At the event, hand out your giveaways selectively. Don’t have them stacked on a table and available for anyone to take. Use the gifts to prequalify potential buyers. Ask booth visitors to give you their business cards or other information to receive your gift. 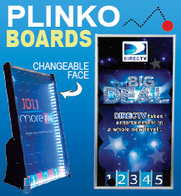 This will give the promotional item more meaning and help you with your post-show follow-up initiatives.